World of Whirlpool — Valerio Dewalt Train Associates, Inc.
Whirlpool selected a unique and challenging location for its 28,000 SF showroom, conference and training center. 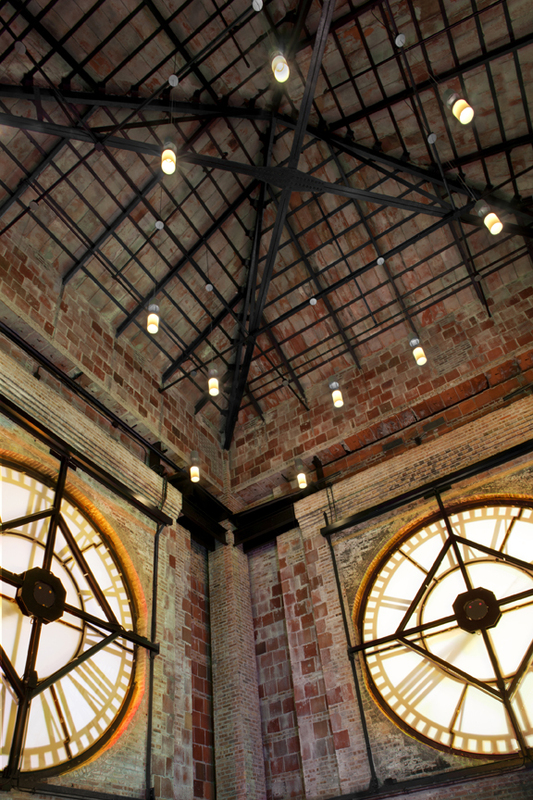 Situated on a rooftop of the historic Reid Murdoch building on the Chicago River, the facility is spread across four floors, including space within the original clocktower. The World of Whirlpool experience begins the moment the elevator doors open to the gathering space. 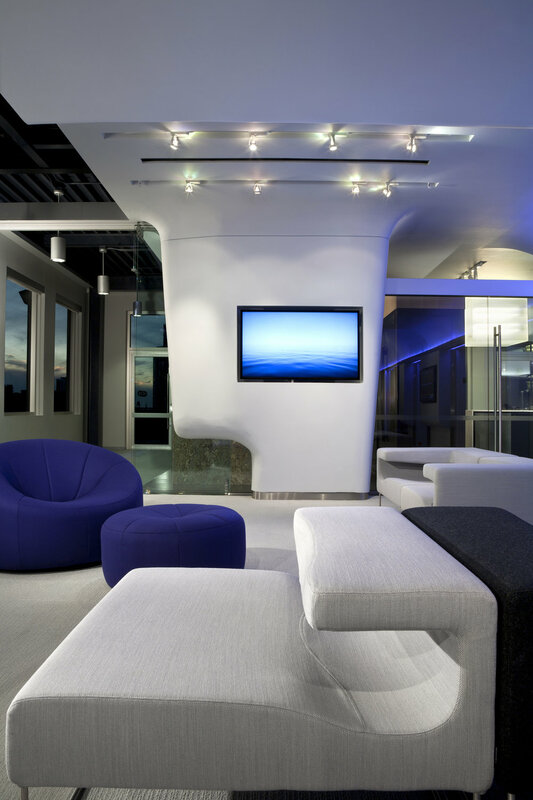 A sculpted canopy circulates above each of the ten showroom kitchens, creating a ring that connects five distinct brands within the Whirlpool family. This ring implies a common commitment to both design and quality which is central to their missions. Each kitchen features a unique design that reflects the unique core qualities of each brand. Outdoor terraces and kitchens and a series of meeting and social spaces further enrich the experience. Whirlpool is a growing, global company whose brand and products are fully expressed in the World of Whirlpool environment.